The US Army is developing the next generation of ENVGs with defence industry partners. What are some of the best military night vision goggles in 2019? Credit: US Department of Defense/Jim Garamone. The US Army is developing the next generation of ENVGs with defence industry partners. What are some of the best military night vision goggles in 2019? Credit: Program Executive Office. Night vision devices give armed forces a massive advantage over enemy combatants, allowing soldiers to conduct vital military operations in the dead of night, when the opposing force is at its most vulnerable. 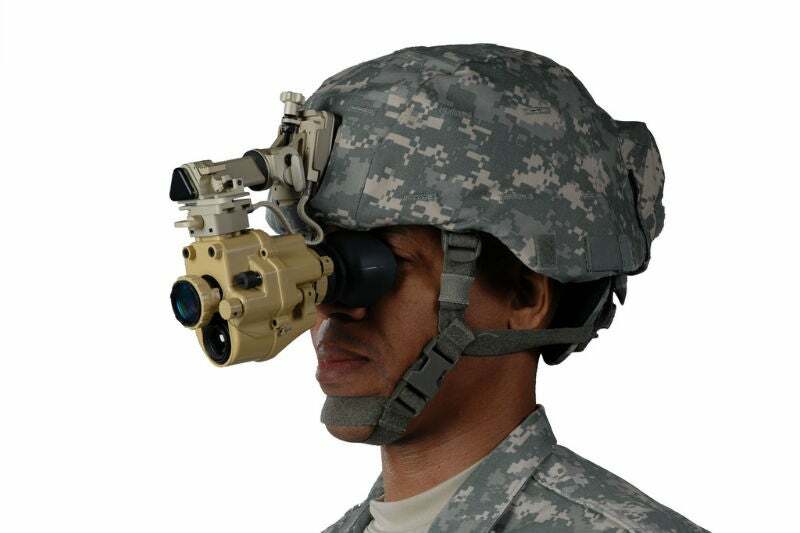 Four US-based companies – BAE Systems, Leonardo DRS, L3 and Harris – are currently developing enhanced night vision goggles (ENVGs) under US Army contracts, while other firms are independently developing their own latest generation devices. From image intensification (I2) systems to thermal devices to hybrids, what are some of the best military night vision goggles in 2019? 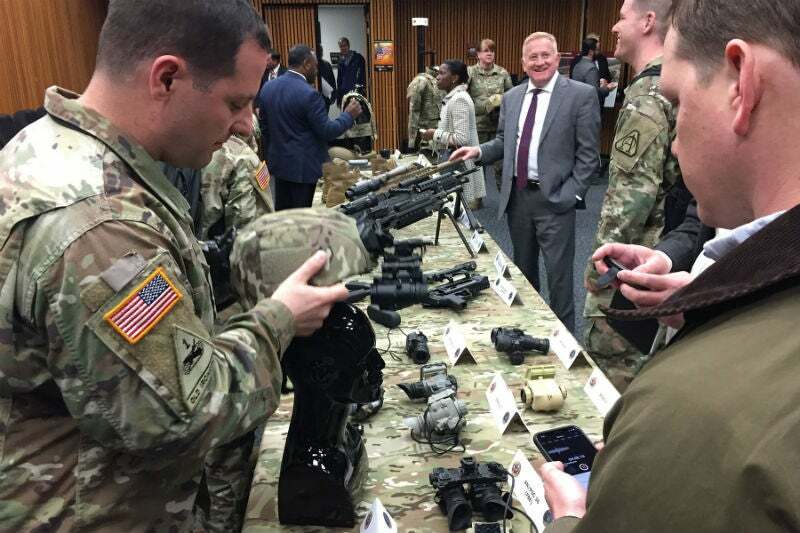 In March 2018, the US Army placed two orders under a $97m contract to BAE Systems for new thermal night vision goggles and weapon sights under the army’s ENVG III and Family of Weapon Sight-Individual (FWS-I) programme. This was part of a previously awarded five-year contract. Both the ENVG and the FWS-I are connected wirelessly, speeding up the target acquisition and weapon firing process by eliminating the need to switch between devices. The integrated technology enables soldiers in dark lighting conditions to quickly and quietly target enemies, using 12-micron thermal technology to produce sharp thermal images. Another advantage is its rapid target acquisition feature that improves shooting by simultaneously displaying the weapon sight imagery and crosshair within the night vision goggles, allowing the shooter to aim the weapon without bringing it up to the shoulder. “When fully integrated with the FWS-I weapon sight, the combined solution provides superior imagery and a target acquisition capability that can greatly increase mission success and survivability,” said BAE Systems precision guidance and sensing solutions director Marc Casseres. The ENVG III/FWS-I is lighter and smaller than previous models. BAE has also optimised the system for low power consumption, and the picture-in-picture and scope-only functions offer a wider range of ways to engage targets. Also on the US Army’s ENVG III contract is Leonardo DRS, which won an initial production contract for its ENVG concept in 2016, following on from a $367m army contract in 2015. Leonardo partnered with aerospace systems firm N2 Imaging Systems, creating an information hub through the ENVG display to provide rapid target acquisition. Another company working on the ENVG concept is L-3, which was awarded a $391m three-year contract from the US Army Contracting Command to produce and deliver its ENVG-binocular (ENVG-B). L3’s ENVG-B uses white phosphor I2 technology in a dual-tube goggle, which helps improve target location, threat engagement, and access to imagery of the common operating environment. In essence, it is a hybrid system as it includes a separate thermal channel for image fusion and thermal target detection capabilities. The ENVG-B has the benefit of a new high-resolution display and a wireless personal area network that works with the US Army’s Nett Warrior system to produce augmented reality algorithms to provide greater situational awareness. L3 chair, chief executive officer and president Christopher E Kubasik said: “These advanced night vision capabilities reflect L3’s intense focus on developing and providing innovative technologies that make our customers better and more effective in the field. According to Army Times, the US Program Executive Office has said it will field 10,000 pairs of ENVG-B through to 2021. 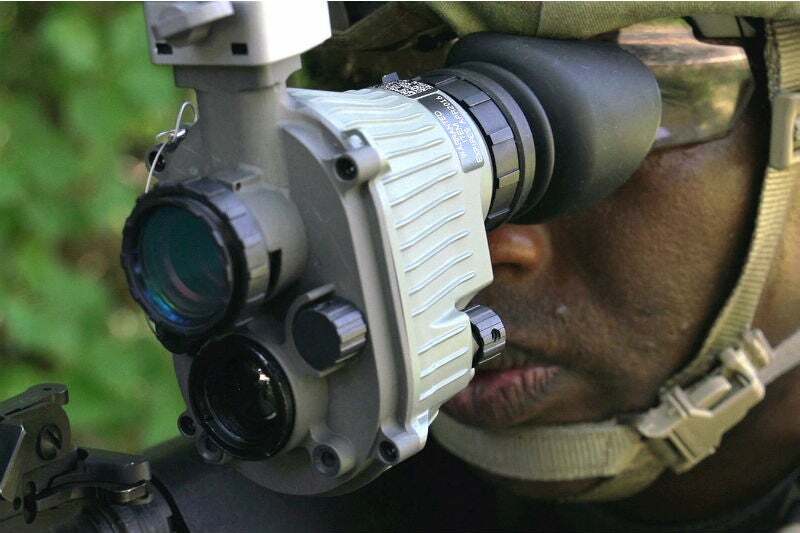 Next on the list of best military night vision goggles is Harris’s AN/PSQ-20, formerly manufactured by ITT Exelis, which is a Spiral ENVG system that fuses I2 tube technology and infrared micro-bolometer technology, via optical overlay, into a single, small monocular. A refined version of Harris’s originally designed AN/PSQ-20 ENVG, the SENVG can be quickly mounted to or removed from an advanced combat helmet. For this reason, it comes with a separate battery pack for helmet-mounted and hand-held use. Advantages of the SENVG over the ENVG is greater situational awareness due to improved threat detection technology, compatibility with existing weapon systems, expanded viewing capabilities, and a colour microdisplay. Aside from the US Army contract, other defence technology companies have also been developing latest generation night vision devices. Notable examples include ATN’s PS15-4 Gen IV and FLIR Systems Nyx-7 PRO Gen III range. ATN’s PS15-4 is a compact dual NVG system that uses two high-performance I2 tubes to provide clear images in dark conditions. Benefits of the PS15-4 include increased depth perception and a built-in infrared that allows for easy map-reading in complete darkness. Meanwhile, FLIR Systems’ Nyx-7 PRO Gen III range is a rugged compact bi-ocular goggle that uses high-grade optics and automatic brightness controls to provide clear images at night and in most weather conditions. It includes a universal helmet mount for hands-free use and can be converted to a long-range optic using 3x and 5x magnified lenses. Previous PostInteresting Views From Sir Michael Fallon By Howard Wheeldon, FRAeS, Wheeldon Strategic Advisory Ltd.Next PostInstrument of Peace – NATO at 70 By Howard Wheeldon, FRAeS, Wheeldon Strategic Advisory Ltd.